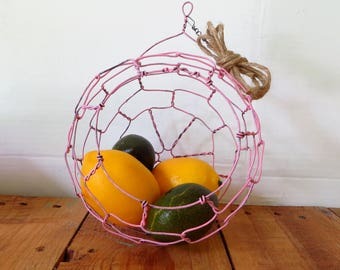 This handmade wire hanging basket is just like my regular sphere baskets except it has the double twisted wire rim for added strength and an awesome look. 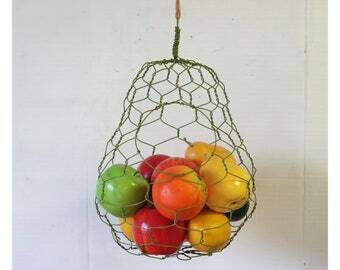 It measures about 10 inches across and hold 4 plus pounds of produce. 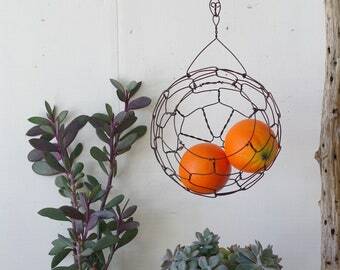 It comes with about 2 feet of black para cord for hanging. It is available with or without the coco fiber liner. If you want the liner please select with liner from the drop down box to the right of the basket. Please let me know if you need a longer hanging cord. 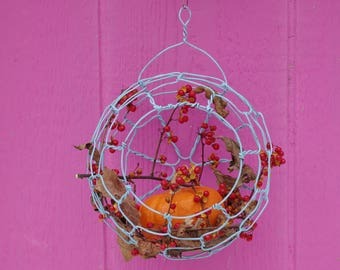 It is made with annealed steel wire and must be protected from wet to prevent rust. 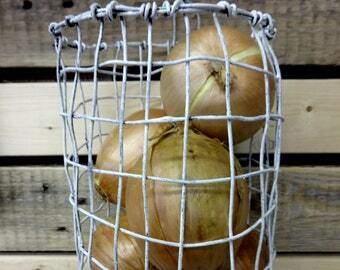 I recommend using cooking spray followed by a clean dry cloth to clean and condition your basket a few times a year. It is done before shipping so all set for a while. 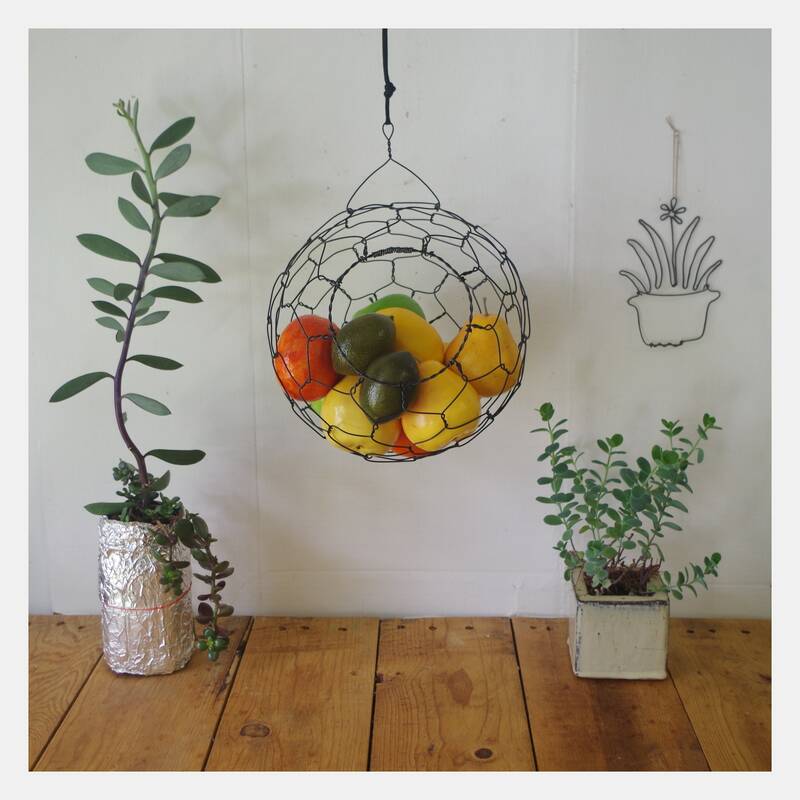 OMGOSH I Absolutely LO♡E Sphere hanging fruit basket. Such "Fabulous Quality! Absolutely beautiful! It’s the centerpiece of my kitchen. I love how light but sturdy the basket is. Saving up to buy more of these bad boys.